Peruvian grooves from the mid 60s to mid 70s – guitar based numbers with tropical strains of merengue, guaracha, rumba and cumbia steeped psychedelia, garage beat and other cross cultural elements! Like a lot of the great music happening around the world in the period, the musicians of Peru were blending regional traditions and folk elements with global ideas in really fresh and exciting ways! The tropical guitarists bring in new innovations from the rock realm for incredible, unclassifable sounds! 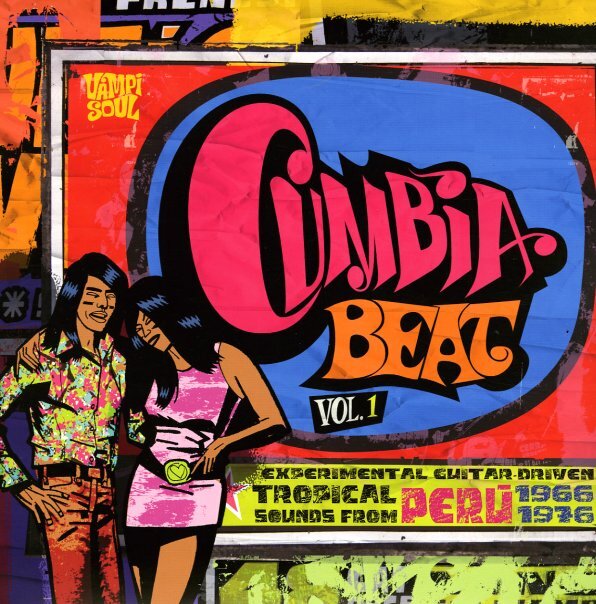 A killer collection of Peruvian cumbia! Titles include "El Avison" by Silvestre Montez Y Sus Guantanameros, "Viento" by Grupo Celeste", "Cumbia Pop" by Los Beltons, " Arre Caballito" by Manzanita Y Su Conjunto, "La Ardillita" by Los Destellos, "Beteando" by Los Beta 5, "Mujer Hilandera" by Juaneco Y Su Combo, "Malambo" by Los Diablos Rojos, "Liliana" by Los Demonios Del Mantaro and more. 25 tracks on 2LPs. © 1996-2019, Dusty Groove, Inc.